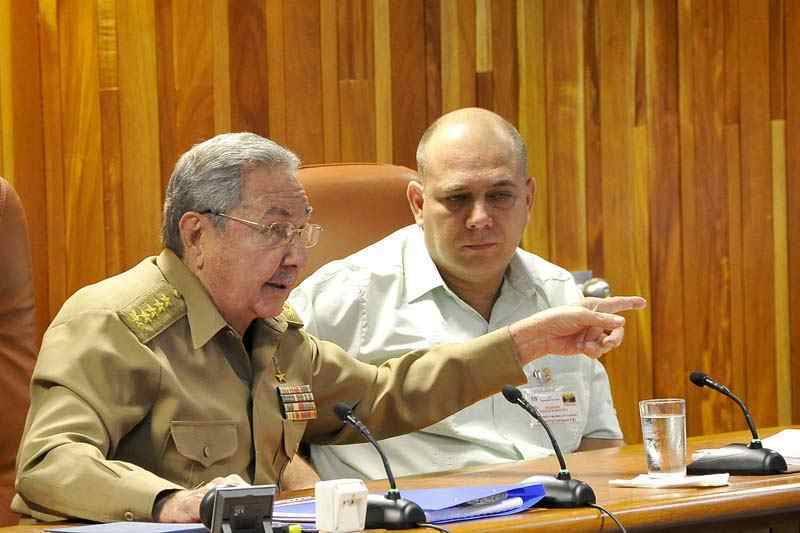 Raúl Castro has asked his ministers for a critical and constructive analysis of the measures being taken to update Cuba’s economic model, the daily Granma reported Monday (March 3). We’re moving forward and will continue to move forward but without haste, he told his ministers. Sandino, in Pinar del Río province, and Maisí, in Guantánamo province, are in opposite ends of the island of Cuba. The purpose of Saturday’s meeting, according to Granma, was to approve policies for the improvement of geological research and the Cadastral Survey, which determines the tax value of the land. Decisions were also made on the creation of non-agricultural cooperatives, investment procedures, internal controls and education, among other topics. In response to Castro’s invitation to be critical, the ministers spoke candidly about the problems they faced. He admitted that the documentation available for the Cadastral Survey is not up to date and in some municipalities is not even accurate. Land users are not required by law to report to the authorities on new construction on their property or changes in its use, all of which hampers tax assessments. Marino Murillo Jorge, head of the Commission on Development, reported on the status of non-agricultural cooperatives, which by now involve commerce, gastronomy and services (186 of them), construction (12), transportation (3), industry (15), food (1), energy (5) and accounting (6). About the creation of cooperatives, President Castro said that it is an experimental process and that any errors detected must be corrected. The provincial and municipal governments must keep track of them and retain their best qualities, he said. Adel Yzquierdo Rodríguez, minister of the Economy and Planning, reported on the problems affecting the investment process, which include an overestimation of annual planning, insufficient control, deficiencies in contracting and the inadequate use of contracts as tools of labor, a lack of exigency in the face of poorly executed work, incorrect management of imports, technological indiscipline, low productivity and a shortage of builders. These problems are being dealt with, the minister said. Noting that problems in the investment process have been reported for years, President Castro emphasized the need to be demanding and to deal firmly with the administrators responsible for the flaws. “Those who do things poorly must be taken to account for them,” he said. Comptroller General Gladys Bejerano Portela reported that the audits made in late 2013 involved the leasing and use of farm land in usufruct, the strengthening of the farm cooperatives (UBPC), farm production for export, the substitution of imports and the sale of construction materials to the general population in the provinces of Santiago and Guantánamo. Reports to the Council of Ministers were also delivered by the ministers of Labor, Margarita González Fernández, and Public Health, Dr. Roberto Morales Ojeda.